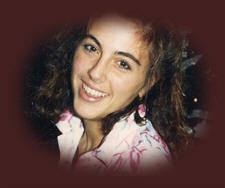 The Terri Schiavo Life & Hope Network, in collaboration with Priests for Life, announces the “International Day of Prayer and Remembrance for Terri Schindler Schiavo, and All of Our Vulnerable Brothers and Sisters,” which will be observed each year on March 31, the anniversary of her death. We invite individual believers to spend time on that day learning about Terri, and praying for all whose lives are threatened in the same way that hers was. We invite Churches to hold memorial services and to educate their people on the dignity of every human life, despite any disability or disease with which that life may be afflicted. We invite educational institutions to help dispel the myths and inaccuracies about Terri’s life and death, and to contribute to our society’s debate regarding the rights of the disabled by providing accurate, factual information and mature reflection on the ethical demands of caring for the weak and vulnerable. We invite all people to use the resources on this website and to help us continue to draw good out of the sad and tragic way in which Terri was treated. Find reflections from Fr. Frank Pavone who was at Terri's side in her final hours and preached at her funeral here. Visit ProLifeProducts.org to order Prayer in Remembrance of Terri Schiavo prayer cards and our brochure: Terri Schiavo’s Final Hours: An Eyewitness Account. Get 100 brochures and 200 prayer cards - a $30 value for only $15!